Achilles tendon injuries are common among athletes and weekend warriors alike, and can be the source of intense pain if left untreated. 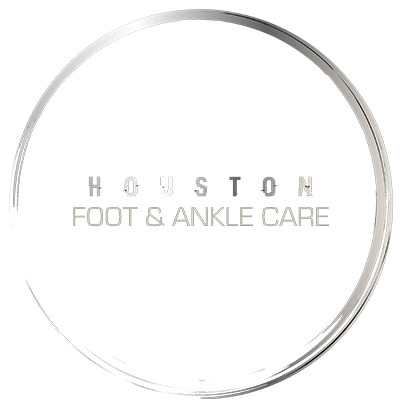 At Houston Foot and Ankle Care, board-certified podiatrist Dr. Gabriel Maislos, DPM, FACFAS, FAENS, treats patients of all ages in Houston and the surrounding areas for a variety of conditions associated with the Achilles tendon. If an Achilles tendon injury or condition is preventing you from living a more active lifestyle, call the office or schedule an appointment online today. What foot problems are associated with the Achilles tendon? Achilles tendonitis occurs when your tendon becomes inflamed, causing pain and discomfort. This condition is often acute, lasting six weeks or less. Achilles tendonitis is often the result of repetitive motion and stress, and is common among runners, dancers, tennis players, and gymnasts. It usually gets better with rest, ice, bracing, or other therapeutic remedies. If you feel sudden pain in your calf or heel and hear a popping sound when you land on your feet, it may be a sign of an Achilles tendon rupture. When your Achilles tendon ruptures, it tears partially or completely, making it difficult, if not impossible, to put weight on your foot. In some cases, you may need surgery to repair it, but the rupture may also respond to nonsurgical treatments like immobilizing your foot while the tendon heals itself, physical therapies, orthotics, and rest. If you do need surgery to fully repair a severe Achilles tendon rupture, Dr. Maislos takes a conservative approach that begins with an in-office, minimally invasive incision to remove scar tissue and promote healing. This Tenex Health procedure uses a local anesthetic, and the incision is so small that in most cases you don’t even need sutures. In many cases men and women seek treatment for foot or ankle pain, not knowing that the cause is gastrocnemius equinus. Dr. Maislos is an expert at diagnosing and treating all disorders and biomechanical problems related to your Achilles tendon. If you suffer from foot or ankle pain, or you injured your Achilles tendon, Dr. Maislos and the exceptional team at Houston Foot and Ankle Care can provide long-term pain relief and treatment for your condition. Most foot-related issues respond well to nonsurgical treatments, and if you do need surgery, you can rest assured you’re in the most capable hands. 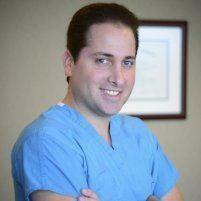 Call Houston Foot and Ankle Care or schedule a consultation online today to learn more.